Algeria's ruling party FLN has picked President Abdelaziz Bouteflika as its candidate for the April 18 presidential election, party leader Moad Bouchareb said on Saturday. "We at the FLN we have decided to pick Bouteflika as our candidate for the April presidential election. Let's be ready for the campaign," Bouchareb told about 2,000 supporters at a sports stadium in Algiers. "We have chosen him because we need continuity and stability," he added. 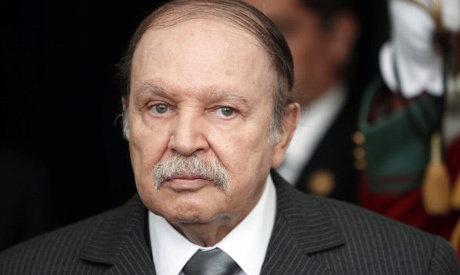 Bouteflika's poor health had led to months of uncertainty about whether he would stand for election again. Bouteflika remains popular with many Algerians, who credit him with ending the country's long civil war by offering former Islamist fighters amnesty.